Recently, I was sent a new pet deodorizer to try out, by a company called Oxyfresh. 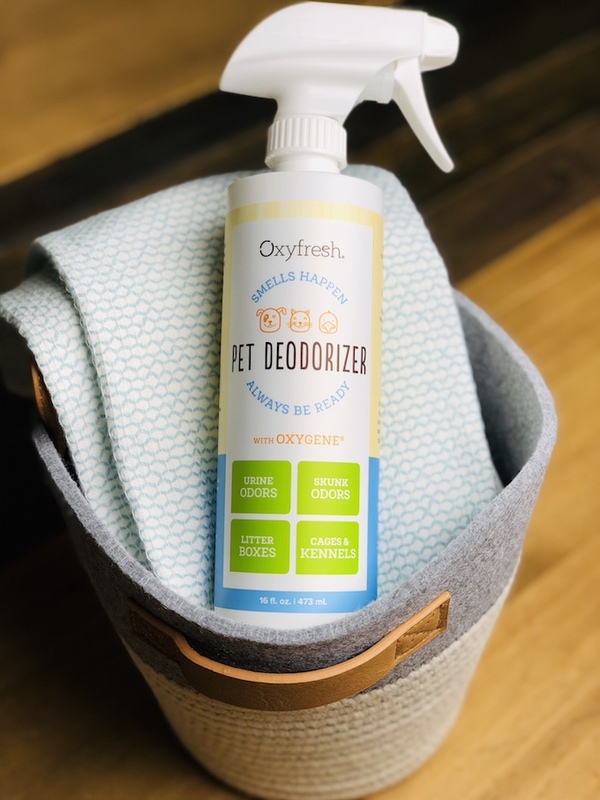 Their Pet Deodorizer promises that, within 60 seconds, it “completely neutralizes bad odors.” Oxyfresh also claims you can spray the product directly onto your cat, although that just seems like a silly idea to me. I do not appreciate someone attempting to spray cologne on me as I walk through a department store, so I’m certainly not going to start spot spritzing my cat. 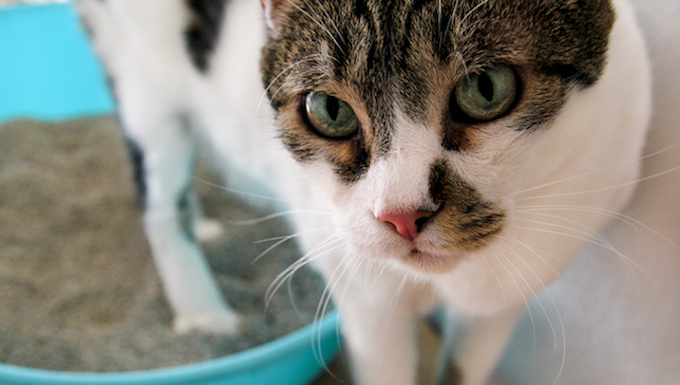 Cats are naturally clean creatures, but there’s no denying that even the most odor-conscientious feline can wind up presiding over an icky smelling litter box. 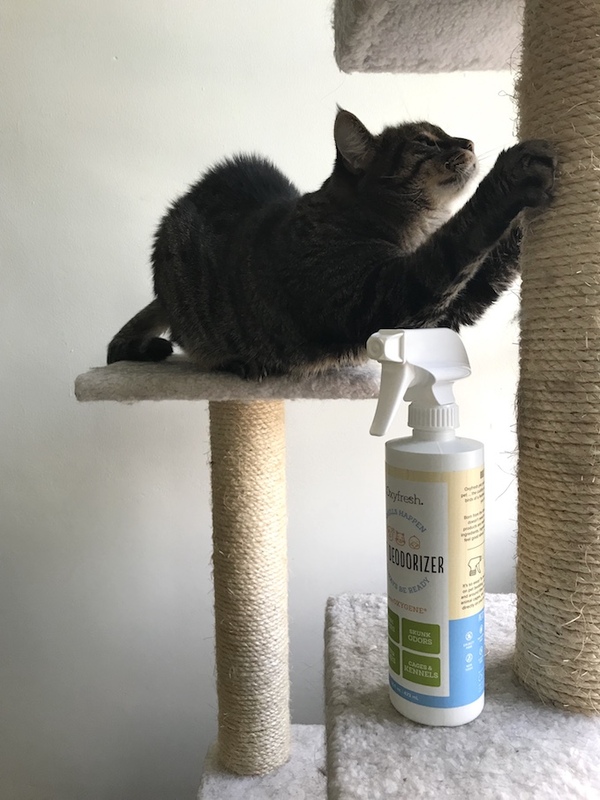 Cat, cat tree, and cat deodorizer. In these cases, reaching for a pet deodorizer can offer some olfactory respite. At least, that’s what manufacturers of these products promise will happen. For a couple of years now, I’ve been occasionally using Arm & Hammer’s litter deodorizer to spritz down my cat’s litter box towards the end of a monthly litter change cycle or after she’s deposited the pungent remains of a can of Fancy Feast Gravy Lovers beef wet food into the poop box. The product works quite well, but it’s obviously no substitute for wholesale changing and cleaning the litter box. What about Oxyfresh Pet Deodorizer? How does it fare in a field test? Does it actually work? Does Oxyfresh Pet Deodorizer Work? Well, after two weeks of making the effort to use Oxyfresh Pet Deodorizer more frequently than I normally use the Arm & Hammer spray around the litter box, I’d say… sort of. Oxyfresh does help eliminate the smells of urine or poop once you spray it onto or inside the litter box. But then, so does the pet deodorizer that I was previously using. The difference is, Oxyfresh seems to leave its own lingering smell behind that I’d describe as that of a highly chlorinated public swimming pool. In fairness, this didn’t seem to bother the cat, but it definitely didn’t leave the litter box area smelling neutral. Litter box shown for scale. 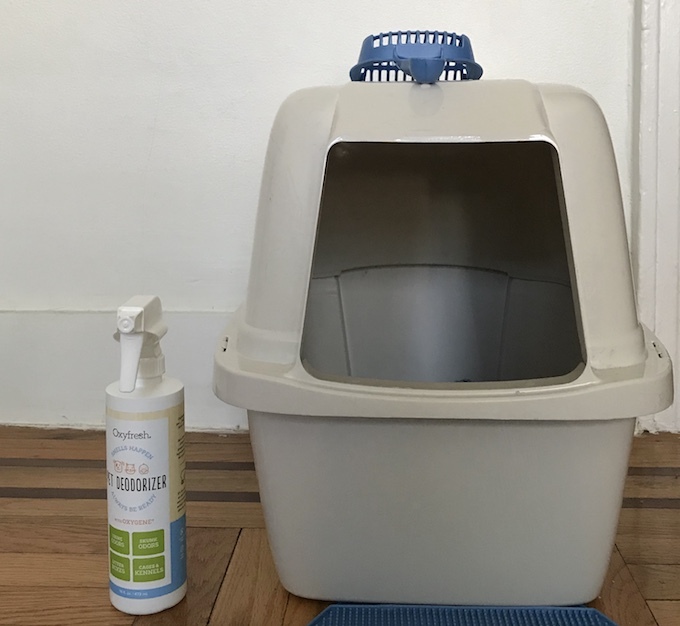 Having a pet deodorizer on hand can be useful for those extreme cases where your cat has dropped a noxious nugget into her poop box or you’ve been a few days lax in cleaning and changing the litter. But to be honest, I’ve always found cleaning the floor around the litter box and opening a window for an hour or so does the best job of reducing odors. Have you tried Oxyfresh Pet Deodorizer or similar products? Did it work for you? Let us know in the comments below!